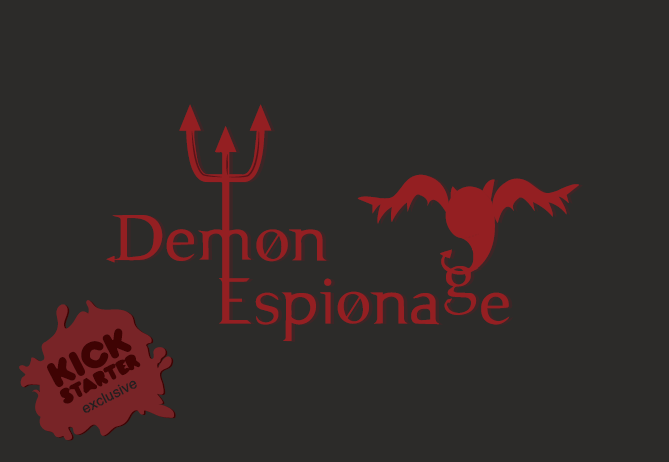 With less than 24 hours to go, Demon Espionage is way above it’s Kick Starter pledge and is still going strong. Angels and Demons have always intrigued me. Maybe that’s why I like watching shows such as Lucifer, Supernatural, Highway to Heaven *grin*. So when I come across boardgames that deal with demons and/or angels, I get interested and have to check it out. I bring to you, Demon Espionage (https://www.kickstarter.com/projects/1887688573/demon-espionage-0?ref=bpab0g), a card game from 5tails Studio, a gaming company from Singapore/Australia. Demon Espionage is a game for two to six players where players are allocated a side – namely the Shadow or the Rebels (I wanted to put Alliance, but sadly no). The objective is simple – Eliminate the other faction by any means necessary. Each player is allocated a set of 5 cards which is made up of a mixture of combat cards. The Combat cards are made up of troop cards and action cards. The troop cards are the denizens of the factions, the foot soldiers who fight for your cause in a deadly battle or in game terms, duel. Each troop card is allocated a number from 1 through to 9 respectively. So each round, each player lays down a troop card face down and flips them over. Highest number wins, and the winner gets a soul card. – Simple right? Yes, it is simple, but what changes the game from a simple high value wins is the introduction of the action cards. These range from negating the duel, reversing the outcome so that lower number wins or if you’re feeling risky, there is a Rock, Paper, Scissor (known as R.P.S) dynamic that helps turn the tide. Some of these action cards can stack so if a player puts down a R.P.S card, then rock will win over scissors but then the other player can put down a reverse card and now scissors will beat rock. It’s this element of “Take that” and bluffing that lifts this game from mindlessly putting down cards to “Hmm, I need to think about this”. The rounds continue until either the soul cards run out or a faction is eliminated. Once this occurs, the soul cards are tallied up and whom ever has the most soul cards wins the game. I’ll come out and say that this game is OK/average at a two player count. Since, you know what side you’re on, the need for the reveal action cards is negated as if you’re on the Rebel Faction, then the other side must be on the side of Shadow. So the added game play of trying to figure out who is on your side is missing (as there is no point). However, that does not mean that there is no game at the two player level. I initially thought that the two player game would be lacking and over very quickly and for the first couple of games, it was. However, that was more about getting used to the game rather than the fault of Demon Espionage. However, I was surprised to find that there is some substance at the two player level, you still have the opportunity to alter the game via the action cards. It becomes a game of knowing the right cards to play at a given time. Do you go low and use the reverse card or do you try and go high all the time if you can get away with it. There is a decent amount of strategy that can be implemented. So, would I recommend this game if you wanted a game specifically for two players, I would say yes if you want a nice starter game that is easy to learn and has a good combination of luck vs. strategy. The game comes alive when 3 or more players enter the demon duelling arena. Now, the deduction of who is on your side comes into play. Through the use of reveal cards and/or divert action cards, you can now find out who is on your side and aid them in destroying the other faction. Of course, you don’t want to make it too obvious because people can potentially gang up on you and eliminate you quickly. However, if you see this and want to come to the aid of an fellow player that you suspect is on your side, you can help divert the duel to another player or bolster there troop card (e.g. +3 action card which adds 3 to the value) or if they are really in trouble, you can negate the duel and no-one wins. There are options that make this game go from average to good. So when you first open the box, you are presented with the numerous cards that make up the game. The claim is that this game is easy to learn and I have to agree with that statement. It takes me a while to appreciate rules so the fact that I could read the rules without physically going through each step was a bonus. I’m always appreciative of games that take the time to tell you each step with pictures and clear steps. 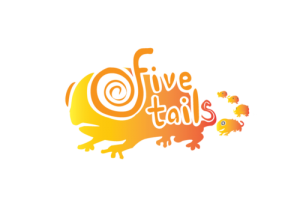 +1 for 5tails for this. My 8 year old son always enjoyed this game, it was easy enough for him to understand. Of course, there are times when he didn’t like us duelling him but he relished in making sure that when his mother and him were on the same side, attacking me and making me suffer due to the various action cards. Attacking his mother in a duel. Well, here is a +2/3 card or a negate card, thank you very much). Again, the simplistic nature of the game was enough for me to introduce it to my work colleagues who are not deep into the board game world, some have only played some modern boardgames, while others only know Monopoly or Risk. This game was a nice starter game. They’ve been exposed to Fluxx and this was a nice step up for them that enabled them to have some meaty exchanges and be exposed to other mechanics that they may not have experienced before. Time wise, we found that for two players, the time was around 10-15 minutes, 3 was around the 20 minutes and after several playthroughs, the 5 players came close to the advertised 30 minutes. The negative I have is mainly due to the artwork specially the typography. The artwork is good, it’s cartoonish and whimsical in nature that leads itself to the playful impish behaviour that you would expect from the underworld denizens. However, the names of the troop demons is a bit too dark in comparison to the rest of the background card (blacks and browns). The same goes for the rock, paper, scissors icons. It needs to be a bit larger to really stand out. So if you have problems with colours that are close in hue, then you may have a problem, the same if your eyesight is not 100% great. In comparison, the action cards are more vibrant but the text on some of the cards needs to be a couple of font sizes bigger. However, I will point out that I do have the prototype copy so things may change in the retail version. In essence, I have nothing to really complain about this game bar the graphical nature. There is a luck element to this game but I feel that this is a constant factor when it comes to card games. You can mitigate it by using the action cards to divert the flow of the game and if you really have a terrible hand, at the cost of a turn, you can redraw the cards. This game to me falls in the starter of a board game menu, the time commitment is small enough that you can have several games before moving on and it warms up the brain in terms of plotting against the other players. As mentioned before, while it may not be my first go to game in terms of two players, I would not hesitate to buy this game. However, I feel this game is best played at the 3+ players. It’s good for kids and teaches them numerical skills (high/low) and even the consequences of their actions. Check out the links for further information. Posted in Card Game, Deduction, Kickstarter and tagged 5Tails Studio, Demon Espionage, kickstarter. Bookmark the permalink.